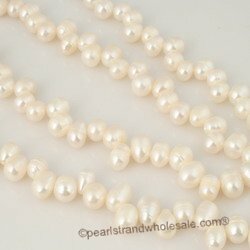 Dancing Pearls(Teardrop pearl) are pearls that have been drilled through the end of the pearl instead of through the center. 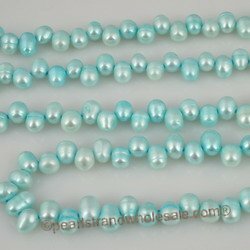 Shapes used for these strands are typically rice or egg shaped pearls. 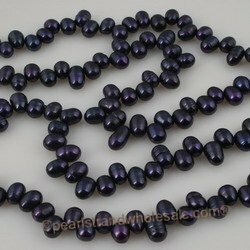 Occasionally we have access to other end-drilled shapes, too. 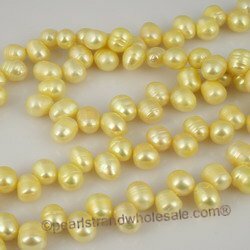 Because of the way that the pearls are drilled, you'll get many more pearls on a strand than center drilled pearls. 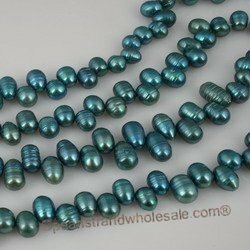 You'll see this reflected in the strand price. 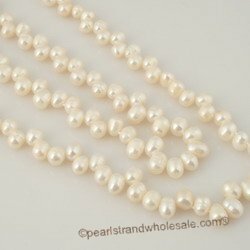 Pearls that are drilled in this fashion are often called "side-drilled Pearls" or "head drilled" pearls. 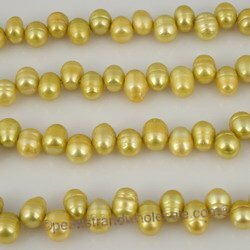 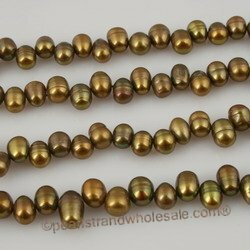 A note on sizes: Teardrop pearls are generally described on this page by two sizes or size ranges (e.g. 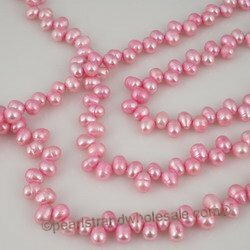 5-6x4mm) The first measurement given is the longer dimension of the pearl (the length of the "drop"); the second measurement given is the width of the pearl.